Many Christian women across the world have started wearing the hijab as part of the Ramadan Hijab Challenge to show solidarity with Muslim women during the Islamic holy month. The initiative, created by the World Hijab Day organization, encourages non-Muslim women to wear the hijab and fast for during Ramadan. "This event is for those who want to experience the hijab for more than just one day in order to better understand what Muslim women go through on a daily basis” Nazma Khan, the founder of WHD, told Al Jazeera. One participant, Ellie Lloyd -- a Christian woman living in Qatar with her daughter, said: “I am a Christian woman taking on the 30-day Ramadan Hijab Challenge” and that the reasons for participating in the challenge are “to help raise awareness and experience first hand what it is like to wear the hijab”. “The intention is to help fight Islamophobia worldwide and make this world a more accepting and peaceful place to live in,” she added. The World Hijab Day organization was founded in February 2013 by Nazma Khan with the aim of spreading awareness and understanding of the Hijab and Muslim women. The World Hijab Day is held annually on Feb. 1. The Ramadan Hijab Challenge is a new initiative aimed at recognizing the challenges Muslim women face in the holy month. 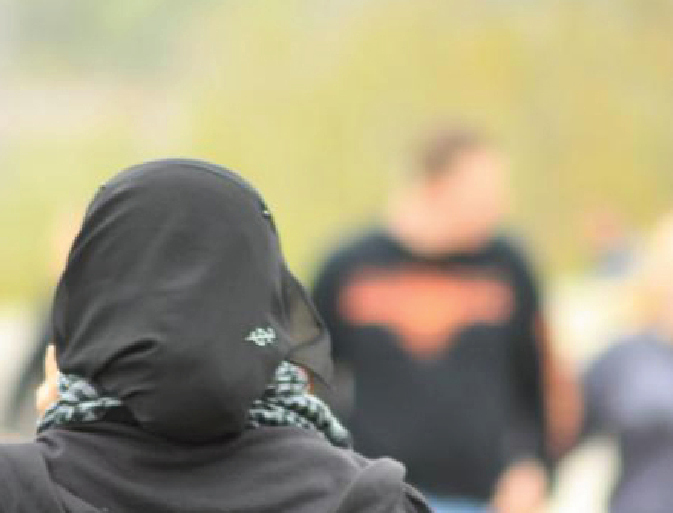 “For many people, the hijab is a symbol of oppression and segregation. By opening up new pathways to understanding, Nazma hopes to counteract some of the controversies surrounding why Muslim women choose to wear the hijab,” a statement said on their website. Allah's Apostle said, "Don't sell gold for gold unless equal in weight, nor silver for silver unless equal in weight, but you could sell gold for silver or silver for gold as you like."